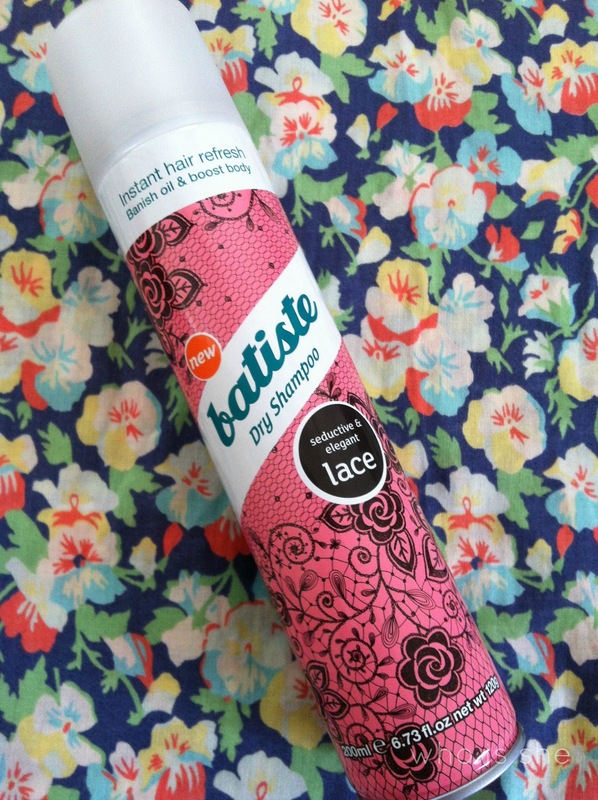 Now that I'm back to being a brunette, and finally used my last two tins of Batiste Red, I'm now using the Lace version. Well I'll rephrase that - supposed to be using it, however it seems to magically vanish into my brothers bedroom. However I think every man and his dog uses and loves Batiste, and I'll keep this post short and sweet. I don't know if the formula of this has changed, or it maybe due to the change in hair colour however I've noticed that there is very little white residue present - this is no complaint mind you. The scent itself isn't overpowering and doesn't last on your hair, If you're a fan of backcombing your hair, use this instead of hairspray and it seems to last longer - little tip for you there. I'm not going to bore you on how to use the stuff, just spray, scrunch and go, bish bash bosh done.